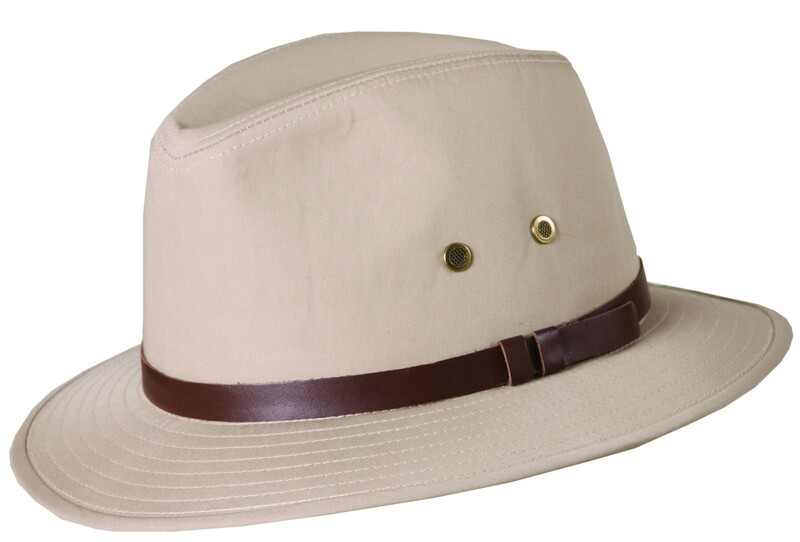 Can't decide between a fedora or a safari hat for your next expedition? You don't have to spend hours debating, just get the best of both worlds! 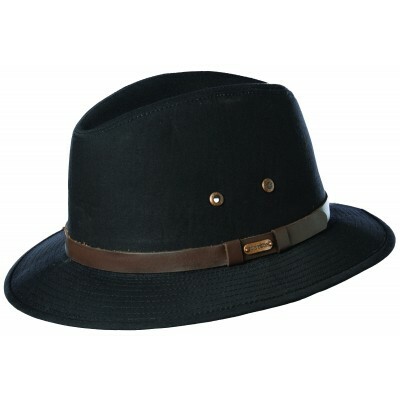 This fedora has the style of a safari hat, and is perfect for outdoor use. 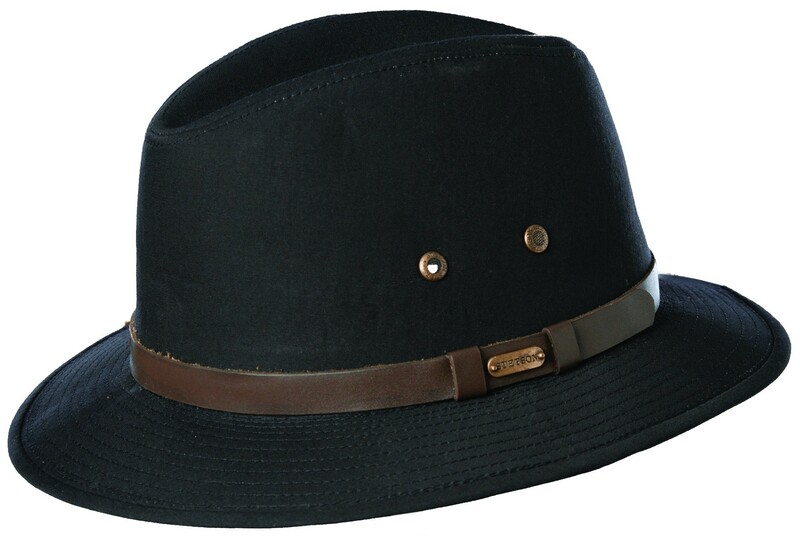 This water repellant hat with its faux leather trim is the perfect style for you. Available in Khaki or Black to fit whatever your style may be.